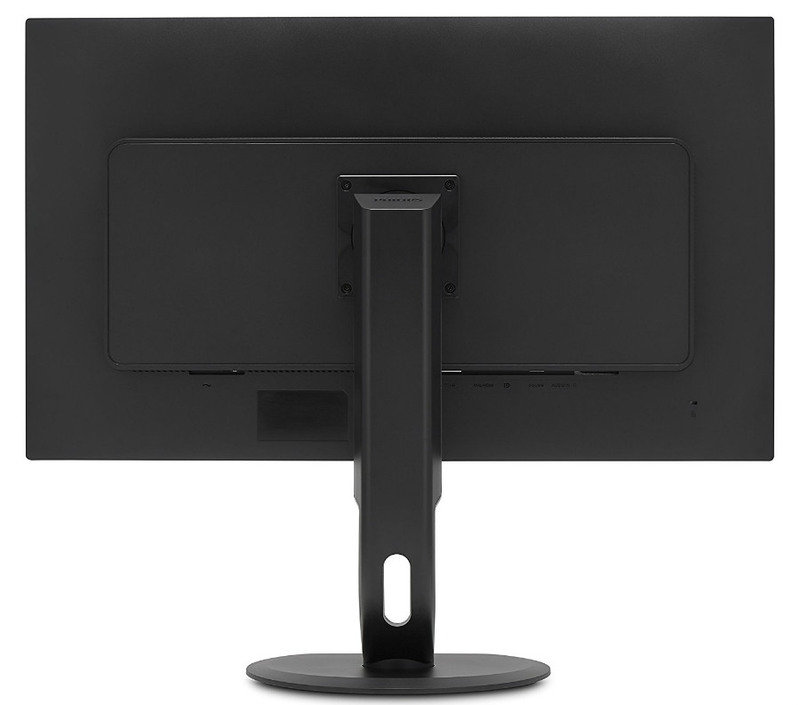 The Philips BDM3270 is a huge, 32-inch monitor with a 1440p resolution and a design that will look good both at home and in the office. This product utilizes a VA panel which has excellent potential in producing rich and vibrant images thanks to its improved contrast capabilities. The market is teeming with similar products regarding its specs and resolution, but the enticing price and the generous sizing makes the Philips BDM3270 worth a second, more detailed look. The Philips BDM3270 will require most of your desk space with its monumental dimensions, but we can’t deny the appeal of a massive computer display for both gaming and work. The product has a matte black finish, and the face has reasonably thin bezels which appear even slimmer against the full viewing space. The design looks clean overall, and the cabinet minus the stand is also within reasonable dimensions even if the power supply is embedded into the rear bulge. What we instantly loved about the Philips BDM3270 is the flexible stand which offers a class-leading 7 –inches of height adjustment, as well as plenty of flexibility in the ergonomics department. The silver accent on the neck is a delightful addition since it adds subtle elegance, while the base primarily responsible for the 10-inch depth provides a lot of stability for something so heavy. This refreshed version of the Philips BDM3270 is touted as a professional monitor, and it a dizzying array of connectivity options to satisfy multi-taskers. The I/O layout comprises of ports for HDMI, DisplayPort, DV-DL, and even a VGA analog connector so that you can connect multiple devices simultaneously. For convenience, there are two USB 2.0 slots and another pair of USB 3.0. The signal inputs are in a down firing position under the bulge at the rear, while the USB hub is facing towards the right. This orientation is much more convenient than having them all facing downward, but the USB outlets are recessed too far from the edges, so reaching them could be a chore. Still, having all you need for peripherals in one device is always a plus, and your desk will suffer from less clutter if you can manage the plethora of cables you can encounter for this setup. The Philips BDM3270 features a 32-inch VA panel with a 1440p native resolution which can only go up to 60Hz. The glossy coating works well without filtering the vividness of the screen, but you might need to find a perfect position which avoids any glare. 2560 x 1440 at 32 inches will only yield a pixel density of 91.79, but the sharpness of pictures is still within acceptable standards. The refreshed version of the Philips BDM3270 includes factory calibration which gives birth to one of the best out of the box image qualities we have ever seen. Right of the bat, gamut error is only at a Delta E of 1.21, while grayscale performance is top-notch. Few monitors out there can match these numbers, and even if this screen isn’t rated for Adobe RGB applications, its sRGB gamut coverage reaches 105%. The backlight intensity can go up to as much as 305cd/m2 which exceeds the listed 250cd/m2. Brightness is the only setting you need to tinker with since our attempts at improving the picture quality did not yield any positive results. For users who want to work or play right away, the Philips BDM3270 is an excellent plug-and-play choice because of these findings. Our image and Overwatch tests prove these numbers to be accurate in practice since both appeared pleasingly saturated and vivid. The cartoony setting of our chosen title pops in the Philips BDM3270, although it’s a shame that the monitor does not have gaming chops since it does not include adaptive sync solutions or refresh rate overclocking. 60Hz is merely sufficient for casual enjoyment, but it is plenty for most uses and occasional after-hours sessions. Darker environments and virtual objects involved in it are clearly visible thanks to the deeper contrast of the VA panel, but interlacing and blurring become an issue as soon as furious swipes become involved. These flaws are accepted and well-documented limitations of the panel technology, but we’d rather enjoy lush visuals instead of neurotically criticizing minor issues which may or may not affect every user. Another aspect where the Philips BDM3270 excels is its screen uniformity which gets harder to keep in check as the monitor grows. Measured variance goes up to 11% going towards the corners of the massive screen. But thankfully, Philips included a smart uniformity feature called UniComp. Enabling this tool lowers variance to 7%, so it is best to leave the functional option on for any type of use. The Philips BDM3270 is overall an excellent monitor thanks to its fantastic out of the box performance in both vibrancy and uniformity. The wide sRGB coverage provides excellent saturation and accuracy despite lacking Adobe RGB capabilities, while the excellent contrast takes care of blacks and grays making them smooth and oily. 32 inches is seductive for anyone who wants to appreciate any type of media, plus it is a size which can be considered as a wallet-friendly alternative to ultrawides which are awe-inspiring to look at. Our only complaint regarding the Philips BDM3270 is its lack of gamer-centric features. But then again, the device aims for a sophisticated, professional audience who can utilize the excellent colors both at work and home. Although we can’t say that this option is entirely bad for gaming, but we reckon the FreeSync equipped HP Omen 32 would be a better choice for that purpose. Hi. How is the viewing angle in front of the screen? I know it’s worse on this than the previous QP version ..
Hi, Matteo! Unless you shift around a lot when sitting in front of your PC, you shouldn’t have any issues with this monitor. How is the image quality compared to the HP Omen 32? Hi Matteo! 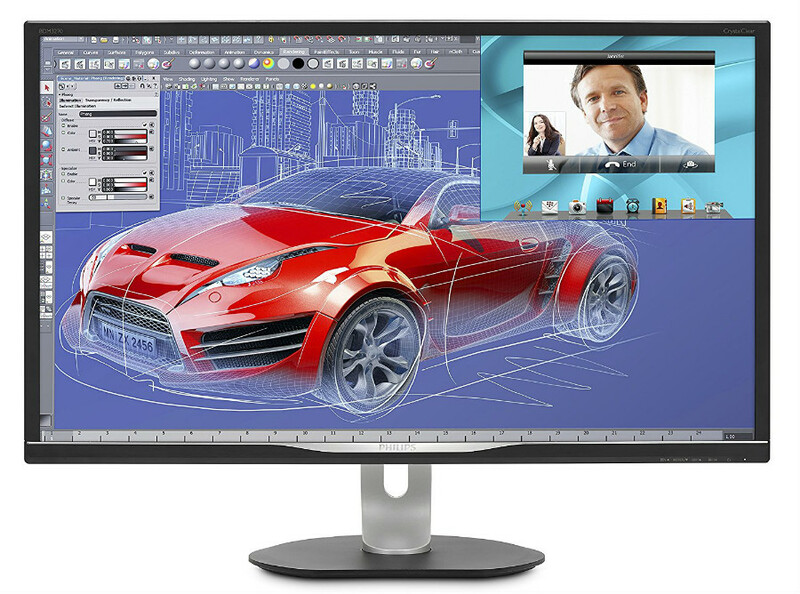 The Philips BDM3270 is a better monitor when it comes to visual quality. Cheers! I am very interested to know if you have analyzed the model BDM3270 QP or BDM3270 QP2. QP 2 have 250 cd/M2 and GLOSSY PANEL. Hey there JW! This version we reviewed is the refreshed version AKA the QP2, and we have corrected the typos you pointed out. Thank you!